The Prespes accord is of historical importance not only for Greece and the Former Yugoslav Republic of Macedonia (FYROM) but also for the broader region of the Western Balkans because it creates fresh momentum for the country’s incorporation into the European Union and NATO, Slovenia’s President Borut Pahor tells Kathimerini in an interview, while urging Greece to play a leading role in this part of Europe. 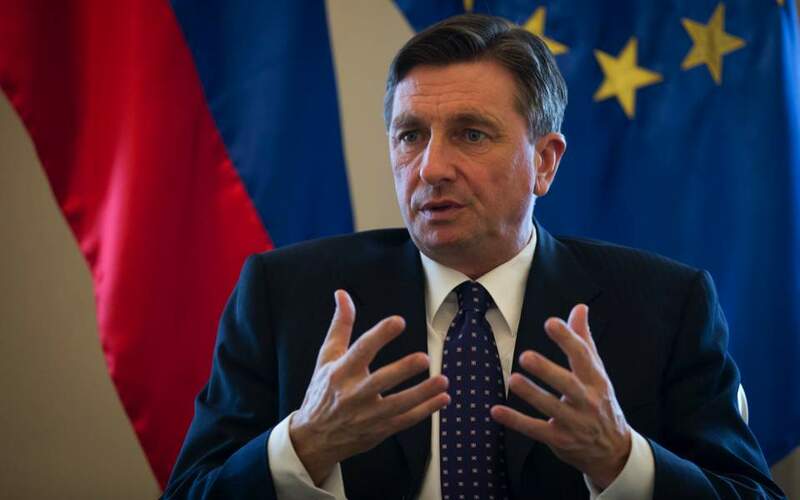 Pahor, who is in Athens on an official visit Tuesday and Wednesday, says EU nations must forge a common migration policy in order to effectively deal with the ongoing crisis and prevent it from evolving into a factor of division. He also refers to Ioannis Kapodistrias, the first Governor of independent Greece, whose family originated from Capodistria on the eastern shore of the Gulf of Venice. The city is now known as Koper and features a lifesize statue of the Greek statesman. Finally, Pahor underlines Slovenia’s contribution to Greece’s rescue program and proposes some form of cooperation between the port of Piraeus, a maritime gateway to the Western Balkans, and Koper, which aspires to serve as an entry point to Central Europe. How do you assess the Prespes agreement? Do you feel it will be implemented, and, if so, what will it’s impact be on relations between Greece and FYROM, and the wider region? The Prespes agreement on the resolution of FYROM’s name is a significant achievement and an important step in the right direction, and I hope that it will be realized. Furthermore, it is important for the entire Western Balkans, as it opens the path of the country, the new name of which will be North Macedonia, to EU and NATO membership. This also creates a new dynamic in the process of EU enlargement to this area of the Western Balkans and opens the door to this country, which, I am certain, is able to meet all EU and NATO membership requirements. 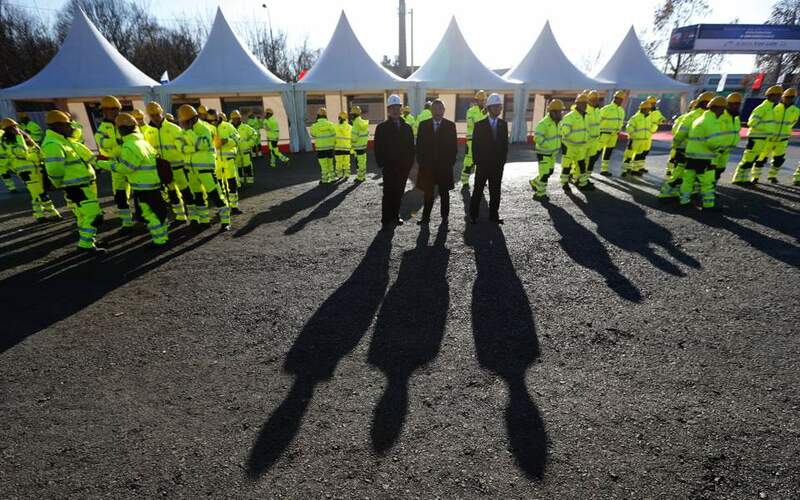 And this contributes to stability in this part of Europe. Of course, I hope that the agreement will be realized. Both parties have a great responsibility to achieve this, and I hope that the efforts of the government in Skopje will evoke a suitable response from Greece. This agreement also opens the door to a better, fruitful, partnership, and friendly relations between the two countries, which will be to the benefit of both. It is Greece that must play an important role in ensuring prosperity and stability in this part of Europe, and especially in its northern neighbor. Allow me to take this opportunity to congratulate the prime ministers of both countries, Alexis Tsipras and Zoran Zaev, for this agreement of historic importance. As a neighboring country, how do you feel about claims that there has been interference by foreign actors? I do not know how much foreign intervention or assistance was involved in achieving the agreement. However, I do know that such an agreement was the wish of all those who care about stability and, as a result, prosperity in this part of Europe. Brussels, Berlin, Paris and, of course, Ljubljana wished that the two countries would reach an agreement, and we hope that it will be realized. For this reason, I am not bothered by any advice or support that was provided so that this agreement may be reached. What are Slovenia’s regional aims, given its leading role in initiatives such as the Brdo-Brijuni process? Our goals are clear and simple: stability in this part of Europe and the inclusion of this part of Europe into European integration and the transatlantic community, which consequently also creates prosperity. We are trying to achieve and contribute to this, nothing more and nothing less. It is, of course, in Slovenia’s interest and in the interests of Europe as a whole that this part of Europe, which suffered much in the wars that ensued after the breakup of Yugoslavia and lagged behind in many respects, finds its place in European integration. The changes that followed after 1991 created opportunities for development and a better life in this part of Europe as well. After all, it is a prerequisite for these opportunities to be fully taken advantage of, that this part of Europe be integrated into the EU. Slovenia has been making constant efforts concerning this, and the Brdo-Brijuni process is also going in this direction. There are prospects for increased cooperation bilaterally, but also in a multilateral context, as both Slovenia and Greece are coastal and maritime countries and EU and NATO members. It can be said that relations between the Republic of Slovenia and Greece are excellent. I do not see any problems, and there are certainly still some opportunities that have not yet been taken advantage of. May I mention just maritime transport and tourism. Our port of Koper would like to be a gateway to Central Europe, while your port of Piraeus is a gateway to the Western Balkans. There are certainly ample opportunities for cooperation between these two ports. There have not been any serious problems between Slovenia and Greece in the past, but actually a lot of cooperation. Slovenia as a member of the eurozone has shown concrete solidarity with Greece in all three financial programs during the Greek crisis. It has also actively contributed to burden sharing in the migrant crisis by participating in the relocation scheme, taking migrants from Greece to Slovenia. Slovenia admires the achievements of ancient Greece. We are also proud of Ioannis Kapodistrias, who, in a way, symbolizes the cooperation between Slovenians and Greeks. May I add that Greeks and Slovenians were also allies in the last world war, and were attacked by Nazi Germany virtually on the same day in April 1941. Throughout the war, there was a strong resistance movement against German and Italian occupation, both in Greece and in Slovenia. How do you assess the migration crisis, the way Europe has dealt with it, and Slovenia’s contribution? In 2015, Slovenia and Greece were exposed at the same time to a migrant wave the likes of which I hope we will never witness again. I do not doubt that migration is a global issue, which will not simply vanish. However, it is also a particularly European problem, as the main migration flow is directed at Europe. At the same time, Europe is facing a demographic deficit. I am convinced that a common European migration policy is necessary if we wish to tackle this problem effectively and avoid the migration issue becoming a divisive factor in Europe. Certainly, countries remain sovereign in deciding which foreigners can live in their territories and under what conditions. Migration policy remains in the hands of individual countries, but without cooperation, particularly at a European level, the migration problem might become an apple of discord and unmanageable. May I add that the right to asylum of anyone who is persecuted due to their religion, race or political views, or anything else, is undoubtedly a part of European values. Provided that clear conditions under international law are met, the right to asylum is a human right. This value, which is a part of the European humanistic tradition, cannot be degraded under any circumstances. However, this is not the same as mass economic migration. There is no right to migration under international law and so countries are not obliged to accept anyone, except those who are entitled to the right of asylum. However, when dealing with the problem of migrants, who must be, as much as possible, distinguished from refugees, their human dignity and human rights must be respected. The Slovenians are a small nation. We have fought to preserve our identity, our language, culture and traditions for over a thousand years. We do not wish to lose this in the whirlwind of future international relations, which might be greatly affected by mass migration. May I emphasize also that we believe in the possibility of reaching an agreement at a European, and even at a global level, on how to manage this problem, how to ensure the observance of human rights and a better life for millions of people who wish to find it. I am convinced that we can face this problem together, and that none of the affected European countries should be left to their own devices in tackling the migration issue. Are you concerned about the future of the EU and the tensions in the Euro-Atlantic relationship? I am convinced that relations between Europe and the USA – i.e. transatlantic relations – remain strong. This is confirmed by the broadly developed common economic interests, mutual investments, common fundamental values, historical connections and common security interests. All of this remains important, and might even become more important in the emerging multipolar world. I also find that Europeans are faced with serious considerations about how to proceed with European integration. I do not think that there are many who oppose European integration, but many have various views on what the Europe of the future should be like. 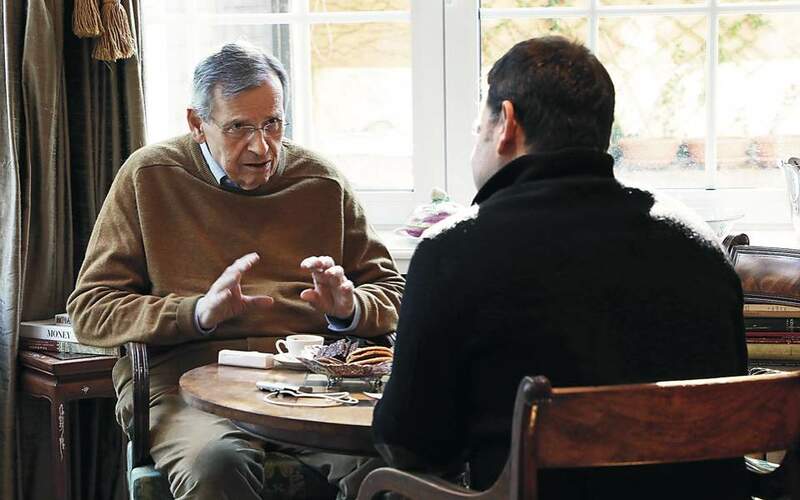 In simpler terms, I am among those who believe that the future, prosperity and security of Europeans require more mutual connectedness, in particular in matters that define our position in relation to the rest of the world. In the emerging multipolar world, Europe and its nations can maintain the role of one of the centers of development of humanity, only if we act united. However, this does not mean that in the matters that reflect cultural, historical and other diversity on our continent, unification should be promoted or even imposed. Europe must remain plural and be united at the same time. Tell us about your hopes and worries regarding next May’s elections for the European Parliament. 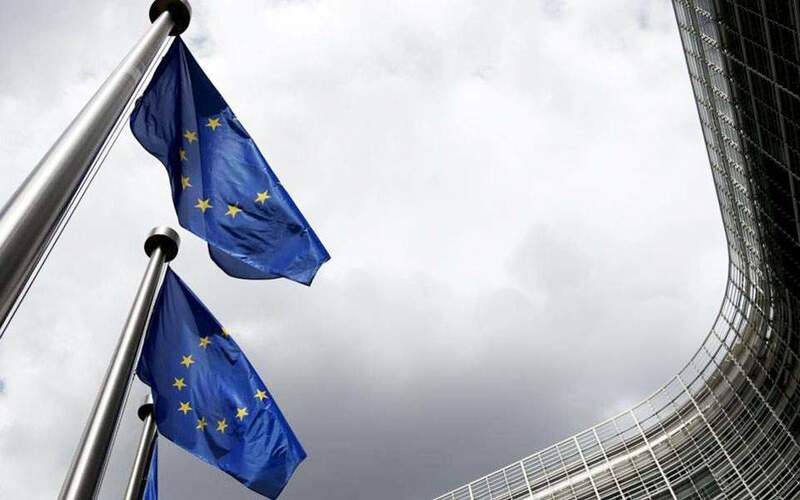 The next European Parliament elections will show how Europeans envisage Europe and its integration. In this regard, may I stress that I do not a priori consider people who are nowadays frequently called Euroskeptics as adversaries of the European idea and European integration. These are mostly political groupings and people who see future Europe differently from what it is today. As I have already mentioned, I am in principle in favor of a more connected Europe. In this context, I would like to mention the “Ljubljana initiative,” which was created in academic circles in Slovenia, and which I have supported. Put simply, it promotes more European integration externally and more space for differences internally. I believe that the understanding that it is necessary for Europe to be more connected and integrated is growing among Europeans and that only this can ensure lasting peace on the continent, as well as prosperity and an important role for Europe in today’s world and in the world of the future. How do you view the latest developments in the Brexit process? It appears that, despite all of the problems, which are unavoidable in the event of a separation such as Brexit, we are indeed approaching an agreement on the exit of the United Kingdom from the European Union. However, it is necessary that the United Kingdom remains a special partner of the European Union, regardless of its formal exit, and that it remains a part of Europe in a spiritual, economic, and in political and security sense.